Riding a OneWheel is one thing. Speaking the language is a completely different game. Don’t be a salad-foot (a person new to floating) or a salad-foot with extra croutons (a person who is new to floating and complains about everything). 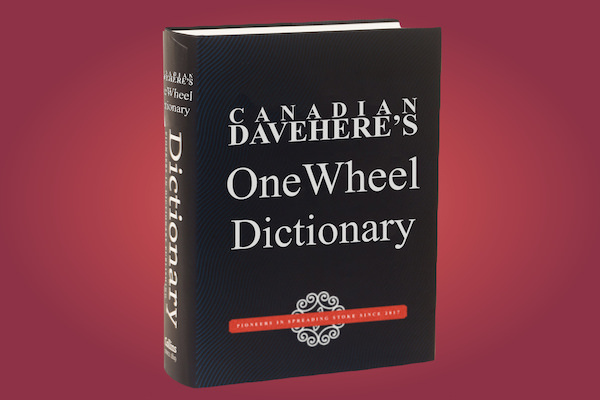 Learn the lingo with Canadian Davehere's OneWheel Dictionary. Not only will you learn what certain words mean, you’ll also see how they’re combined to make a coherent sentence. 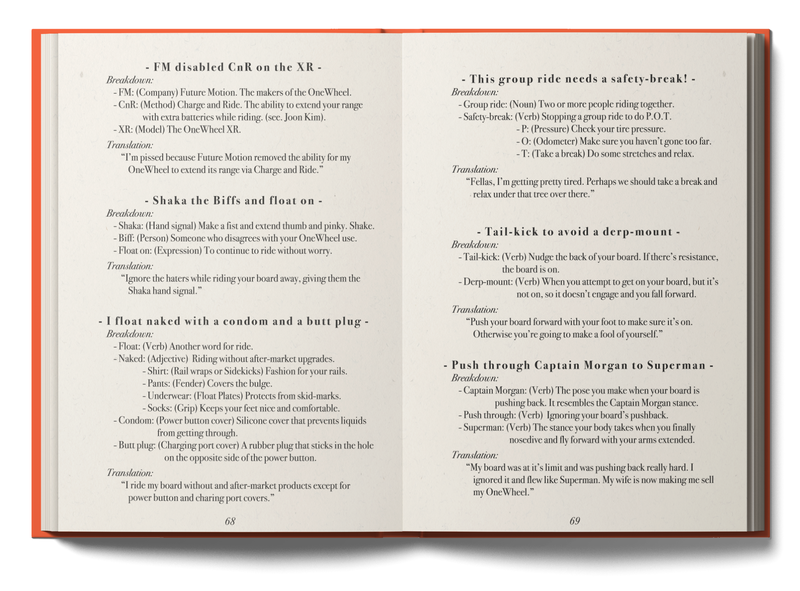 Click on the sample image to read an excerpt from the OneWheel Dictionary.